The people at Morning Fresh Egg Farms care first and foremost about the health of our hens and the quality of our eggs. BUT THERE’S STILL ROOM IN OUR HEARTS FOR COMMUNITY INVOLVEMENT AND SUPPORTING SEVERAL INCREDIBLE CAUSES – ONES WE’VE BEEN ALIGNED WITH FOR YEARS. WE THANK YOU IN ADVANCE IF YOU SUPPORT THESE AMAZING CHARITIES AS WELL. HERE’S WHAT WE LOVE ABOUT THEM. For every dollar you give, the Weld Food Bank can provide five meals to those in need. Weld County is our county, and we are sad that one in eight people here go without food daily. Let’s change this statistic together. For our part, we provide dozens of eggs every week to the Food Bank in the hopes of stemming hunger right here in Weld County. In addition to Weld County, we proudly donate thousands of eggs to area “Feeding Colorado” food banks throughout the year. 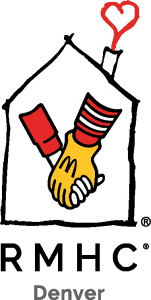 The whole reason the Ronald McDonald House exists is to provide families with sick and hospitalized children a retreat place, where they can regather their strength and become emotionally bolstered. They help families cope with the serious illness of a child. Families are challenged with how to stay near and support a hospitalized child, how to afford staying together in another city while a child is undergoing treatment, or even getting basic medical and dental care in vulnerable communities. We use our resources to help families gain access to health care services during critical points in their children’s lives. We feel the Houses offer such an amazing home-away-from-home experience we not only support the charity financially but provide fresh eggs to the families staying there so they can begin their day with a nutritious, home-made and hot breakfast. This is the Wild Animal Sanctuary you may have seen billboards about – or travel show episodes featuring. It’s a protective zoological facility not far from us on the Eastern Plains of Colorado. There are 720 acres of rolling grassland that provides sanctuary to more than 400 types of animals, from tigers, wolves, black bear and coyote. You can see these rescued animals in a uniquely designed, well-managed environment, complete with elevated walkways to let the animals be uncaged during rehabilitation. This facility is an example of man’s humanity at its finest – it deserves every iota of your generosity. Boy, do the beautiful beasts love eggs too! It’s so important to help Colorado families with non-medical financial assistance, while their dependent child is battling cancer. It’s hard enough to stay upbeat and hopeful when a loved one is undergoing treatment for such a devastating condition – let alone having to worry about depletion of one’s livelihood. Zac’s provides funds for mortgage or rentals, utilities, and travel and lodging to be with the child in treatment. Assistance is for a three-month period and can be a blessing to the hard-strapped, highly-stressed family in Colorado. Triangle Cross Ranch celebrates each individual as a God-pleasing creation by providing a Christ-centered whole-life structure where acceptance, security and self-esteem become a reality.